Member development is an important aspect of surf life saving. Following is a list of SLSNSW member development opportunities offered. Find out about development pathways available to you by downloading the Pathways Booklet. This Program is for U/13-14 members who are the branch winners of the Junior Lifesaver of the Year Award. The focus of this camp is a combination of fun and learning through experience. Participants will be involved in physical challenges, information sharing in presentations and discussions, activities and scenario’s which require leadership, teamwork and communication. Outstanding members who are 15-17 years of age are invited to join us at this workshop. Participants will be involved in activities that broaden their understanding of the operations of branches and surf life saving as a whole. Leadership skills will be developed through physical exercises and activities, with the weekend also calling (and building) upon teamwork, communication, negotiation and planning skills. 18-25 year members will collaborate with surf life saving experts, fellow lifesavers and motivational facilitators in a weekend packed with information exchange and knowledge building. The weekend will encompass team challenges, exercises that develop negotiation, problem solving and leadership skills that can be used within and external to surf life saving. A firm knowledge of pathways and opportunities available will maintain the required enthusiasm and ensure continued personal growth. This program is aimed at new Patrol Captains between the ages of 18 and 30 years with limited to moderate experience. 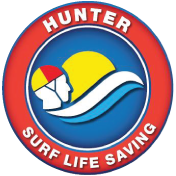 It aims to broaden lifesaving experiences, develop surf lifesaving skills, provide new experiences and increase lifesaving standards of volunteer surf lifesavers in NSW. Participants from the Lifesaving Exchange are selected for the New Zealand Lifesaving Exchange. The program aims to broaden participants lifesaving experience, develop surf lifesaving skills, provide a new experience and increase lifesaving standards of volunteer surf lifesavers in NSW. The college is all about shared, interactive and individually lead learning. Participants will be challenged, inspired, motivated and entertained. The college develops leadership skills and helps participants learn a great deal about themselves. The college is practically designed for surf members to be able to apply their skills at a grass roots level; however these new skills can be also be applied in all areas within their life. The aim of the Leaders Conference is to provide an opportunity for existing leaders within SLS (at all levels) to participate in a high-level leadership development program. The conference will provide participants with an environment that will enable them to refresh and extend their leadership capabilities. No Leaders’ Conference is ever the same, with participants’ guiding the program content based on their identified development needs.